Playing dress up is a great way for children to have fun while learning about the world around them. What kid wouldn't love suiting up as an astronaut, firefighter or race car driver?! This type of play is wonderful for increasing a child's interest in learning about the role different jobs play in society, promoting a can do work attitude, and sparking a desire to learn more about skills necessary to one day be employed in various career fields. Of course kids don't realize they are learning while playing, they're just having fun in the moment pretending to arrest a bad guy, put out a fire, or give a patient a shot; but these playtime experiences really do make a positive contribution towards their personal development. 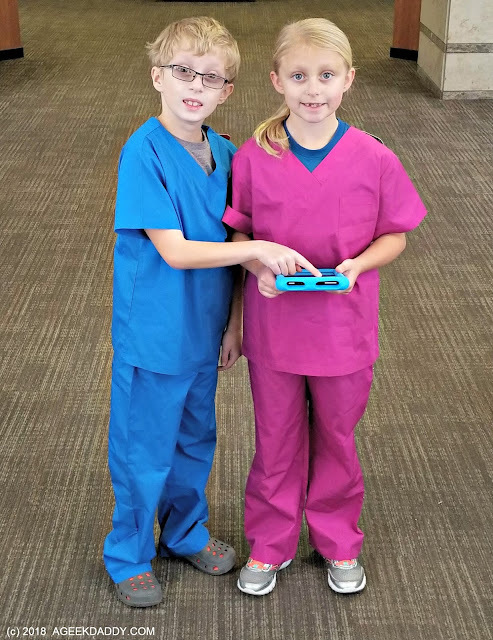 Aeromax Toys' GET REAL GEAR gets children into the spirit of role playing with realistic outfits representing a variety of career fields. 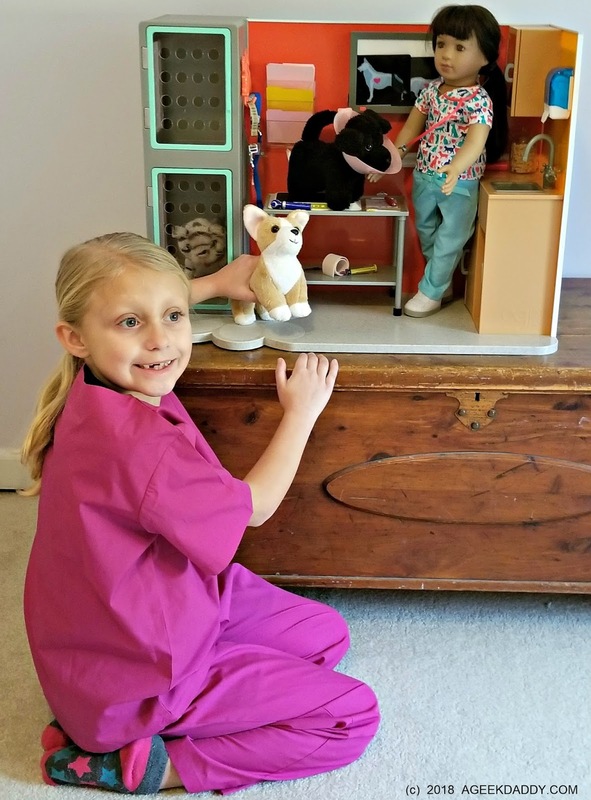 My daughter loves to put on Get Real Gear scrubs and pretend to be a vet while playing with her stuffed animals. Their astronaut flight suit has launched numerous out of this world pretend adventures for my son. Choose from a number of selections in Aeromax Toys Get Real Gear collection ranging from a firefighter suit with helmet to a chef's smock with a baker's hat. Get Real Gear is available in sizes that will fit ages from toddlers to tweens. Hey they even have some stuff sized to fit moms and dads too! Choo Choo ... dad can dress in a Get Real Gear outfit as a train engineer. Mom can show off her love of STEM with a scientist lab coat from Aeromax Toys. They have a number of selections to get parents involved with their kids in dress up fun. A really nice aspect of Aeromax Toys Get Real Gear is that many of the outfits can be personalized. Add a city identification and person's name to the back of a firefighter's jacket. Place a logo or name on the front of a lab coat. Add lettering to the front pockets of fatigues. Even logos can be added to some of these costumes to make them extra special or for use at a special event. Just imagine how excited a child would be to get a customized outfit to play in. In addition to being awesome to play in, Aeromax Toys Get Real Gear is also great to use for school projects, making family movie or game nights extra fun, getting into the spirit of a themed party, and for Halloween costumes as well. The Get Real Gear that my kids have worn has all been very durable and well made in addition to being impressive to look at. We've gotten a lot of use and fun out of the Get Real Gear that we have. For more information about Get Real Gear, head over to aeromaxtoys.com. That's an awesome idea. This makes exploring different careers and playing pretend useful as well as fun. That's a cute idea (and the scrubs are super cute, too!). Always good to encourage kids' imaginations, too. These are really cool dress up clothes for kids. Mine love pretending to be all sorts of different people. Oh my goodness what an awesome idea this is! Such a way for kids to get immersed in ideas and play. This is such a wonderful idea to get kids' imaginations going into role playing. My boys would love the astronaut suit! It's awesome that they're pretty realistic to many careers. I love the firefighter and astronaut suits that I saw on their website. My kids would love to dress up like this. They've always enjoyed this aspect of play. LOVE this! 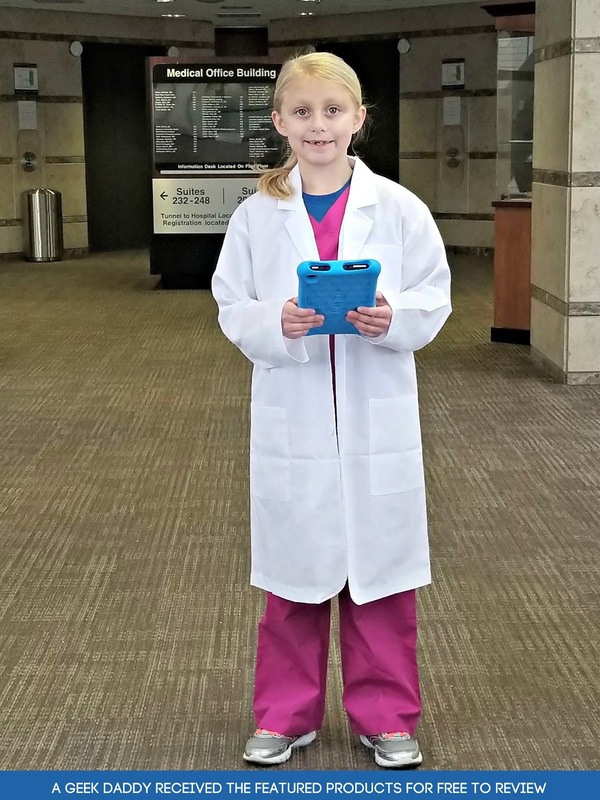 My kids have a career day coming up at school and my oldest wants to be a scientist. I'm going to look into that white lab coat! My daughter is 6 and she has a vivid imagination. She loves to get dressed up. I love to see her express herself. Oh that's fantastic. My daughter wanted to be a doctor (among other things) when she was little and she would have loved those scrubs. Love all the outfits! I would love for my nephew and niece to have any of those outfits. They're going to love it for sure. I love that they have different occupations for kids to dress up. Pretend play is so important.